At the invitation of her Belgian coach Philippe de Cunchy she arrived in Belgium. After one month of training with François Mathy (http://www.francoismathy.com/) she moved to Brussels and started to work for a Turkish company who eventually sponsored Alev and bought Amité IV. This four years old gelding (son of Ibrahim) trained by Alev up to 6 years old won Grand Prix of New York and Palm Beach and participated to Aachen Grand-Prix for the USA team under the saddle of Mc Lain Ward. Recent years Alev has encountered several young horses with difficult characters, sometimes aggressive and also difficult to ride. She decided to question herself and understand why she attracted always such horses. Therefore she had to seek a new way of partnership which invited her to open her mind to new approaches and new ways of thinking. 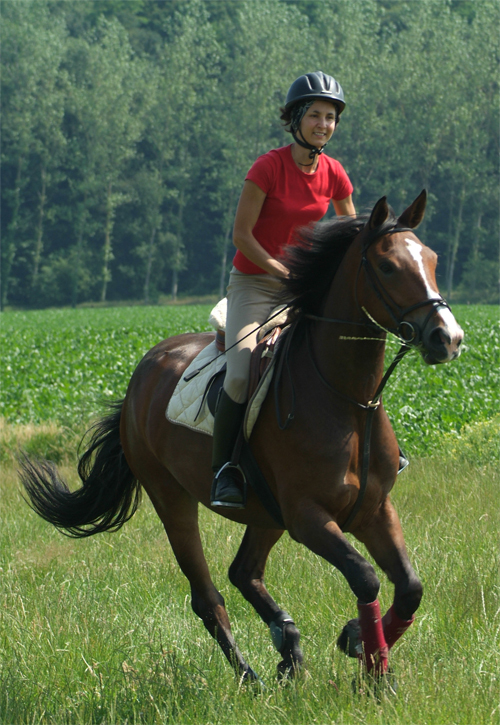 The opening to personal development allowed her to better understand her relationship with horses and in life in general. Therefore she started to participate to several trainings among others with Jean-François Pignon, Nicolas Brodziak, Patrizio Allori, Buck Brannaman etc. She introduced for the first time natural horsemanship principles in Turkey and participated with her daughter Marie-Yasemin de Kemmeter to the first equine fair EQUIST ( http://www.equist.org ) which took place in April 2012 and 2013. Alev is also a columnist in the first ever published Turkish equestrian magazine TRUVA. In September 2013 she is invited through European Union’s ERASMUS mobility programme to teach staff and students to Osman Gazi vocational school in Mahmudiye. Alev will also be covering for Eurosport show jumping and racing events in 2014 sponsored by Longines.